T’Challa first appeared in the 2016 Marvel film Captain America: Civil War. In Black Panther, we see T’Challa conflicted between the modern way of life and his loyalty to his father as well as to the nation of Wakanda. 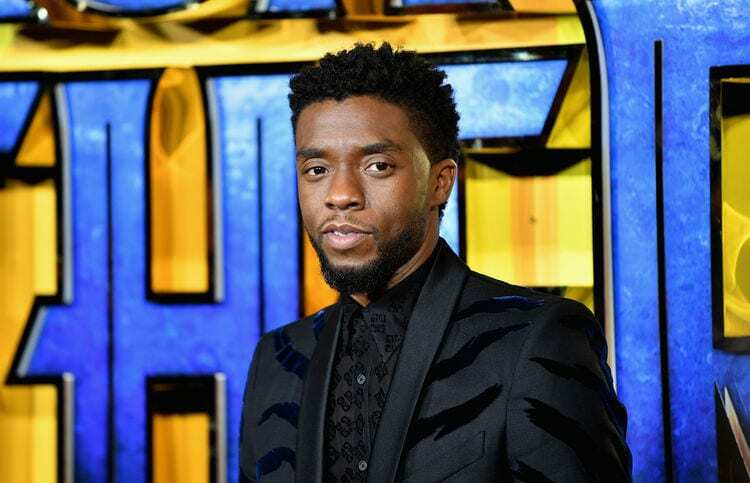 Chadwick Boseman actually appears surprisingly tame in contrast to the fierce T’Challa. Prior to Black Panther, the talented Boseman had already established himself as a versatile and accomplished actor, having portrayed Jackie Robinson in the 2013 film 42 and James Brown in 2014’s Get on Up. While Black Panther is certainly one of this generation’s most progressive comic-book films, with a large majority of the roles portrayed by black actors, the first black superhero was actually played by Wesley Snipes in 1998’s Blade. 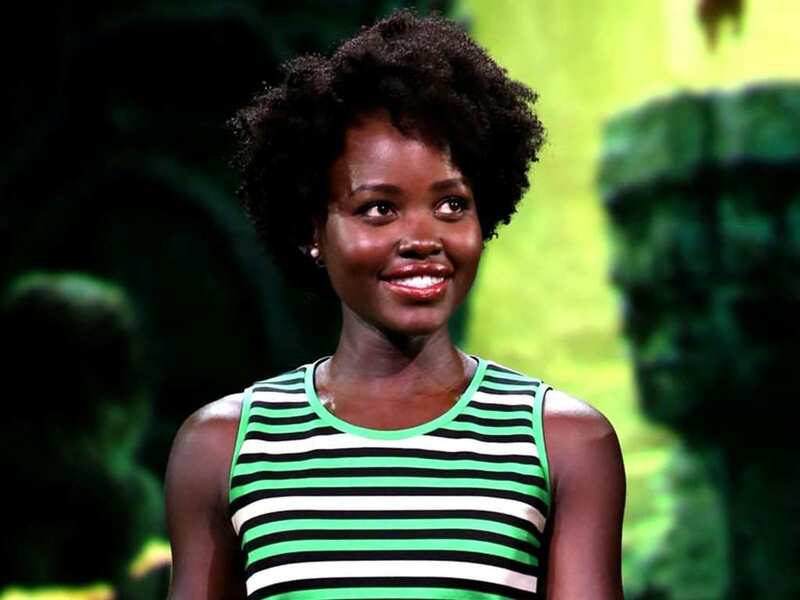 Lupita Nyong’o portrays Nakia, the Black Panther’s leading lady. Because every superhero needs something to lose and someone to fight for, Marvel decided to include the lovely Nyong’o in the film. It is shared with viewers that Black Panther and Nakia were once in love with each other but due to their different life circumstances, it was not meant to be. In the film, we see them reunite and team up to take on something much bigger than their own relationship. This wasn’t the first time we’ve seen Lupita Nyong’o in a big-time blockbuster and it certainly won’t be the last. With numerous prestigious awards already under her belt, including an Academy Award for Best Supporting Actress for her role in 12 Years a Slave, along with countless nominations, the sky is truly the limit for this stunning Mexican-Kenyan actress. You’ve probably also seen Nyong’o in The Jungle Book and Star Wars: The Force Awakens. There’s no telling what the future holds for Nyong’o. Eric “Killmonger” Stevens might just be one of Marvel’s greatest and most complicated villains of all time. 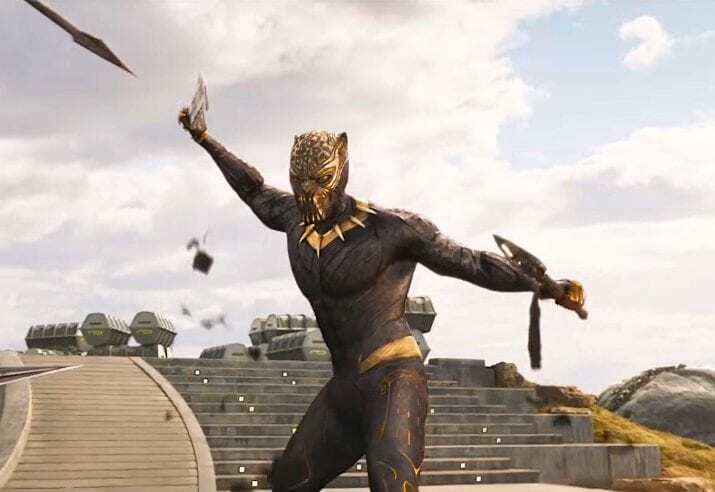 While at first, Stevens may appear to be nothing more than an unpredictable barbaric killer, Black Panther viewers soon uncover and begin to understand the reasons behind his desire to take over Wakanda and his incredible thirst for power. Michael B. Jordan gives a powerful performance in every scene that features Stevens. Director Ryan Coogler certainly made the right call with this one! Black Panther was not the first film to feature the actor-director duo of Michael B. Jordan and Ryan Coogler. Their partnership dates all the way back to 2013 when they worked together to produce Fruitvale Station. The two also teamed up for the Rocky spin-off, Creed. 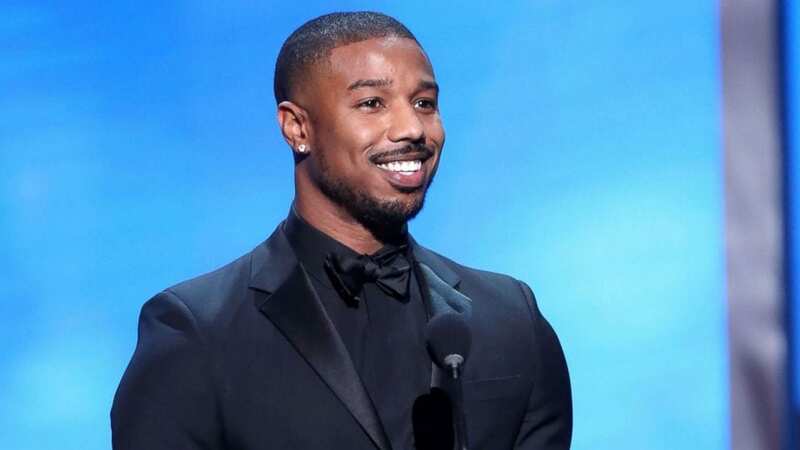 While Michael B. Jordan may have suffered a minor setback when he starred in the poorly-received 2015 version of Fantastic Four, he has more than made up for his box-office blunder with his portrayal of the Black Panther villain. 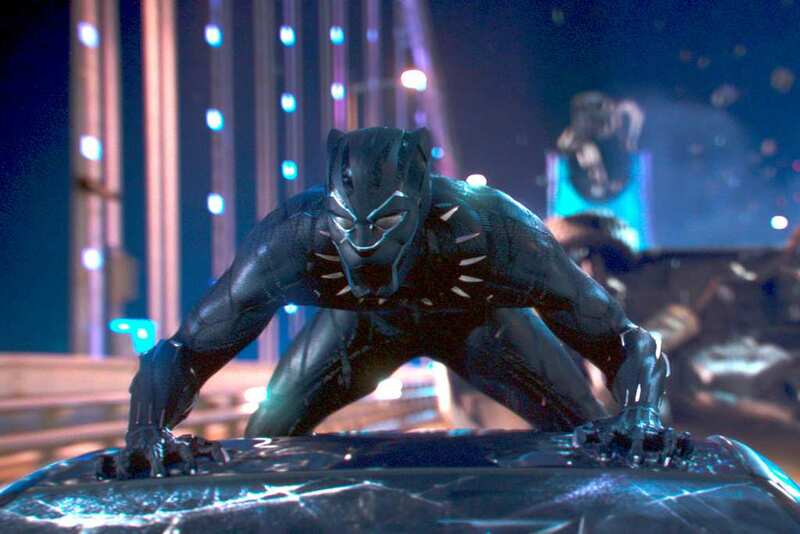 The writers of Black Panther did an amazing job of building upon previously mentioned details to tell an elaborate story and create an intricate universe. The film introduces us to our superhero T’Challa, his native land of Wakanda, and his family. One of his most important family members is his younger step-sister, Shuri, portrayed by the young and talented Letitia Wright. 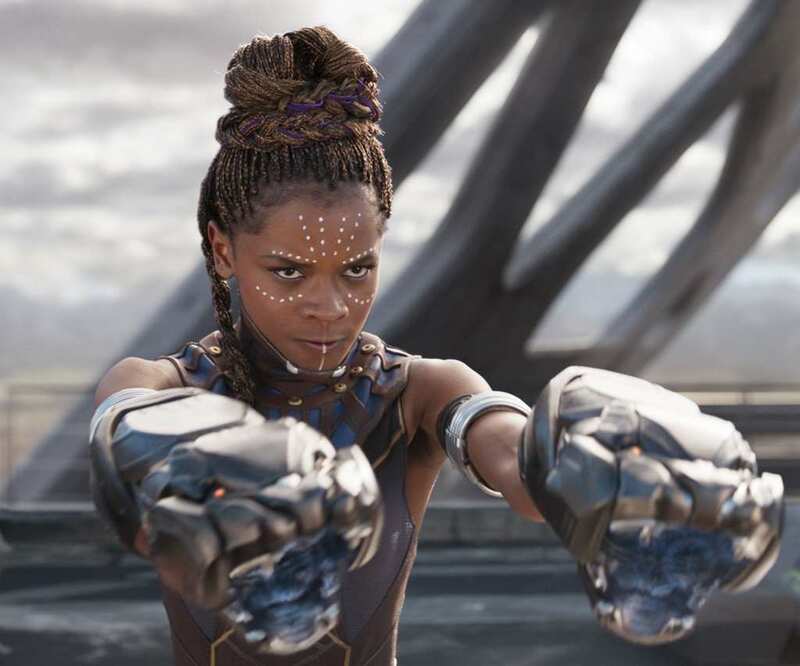 Shuri puts some serious work into T’Challa’s “vibranium” suit and her character provides the film with lots of comedic relief. 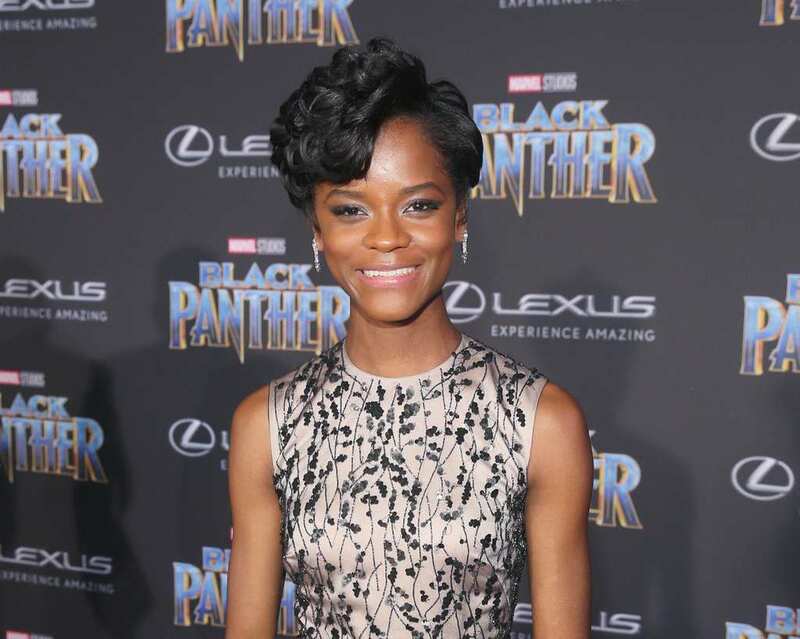 Guyanese-born Letitia Wright moved to London with her family when she was just seven years old. With such a diverse background, it’s no surprise that Wright was able to master the Wakandan accent. 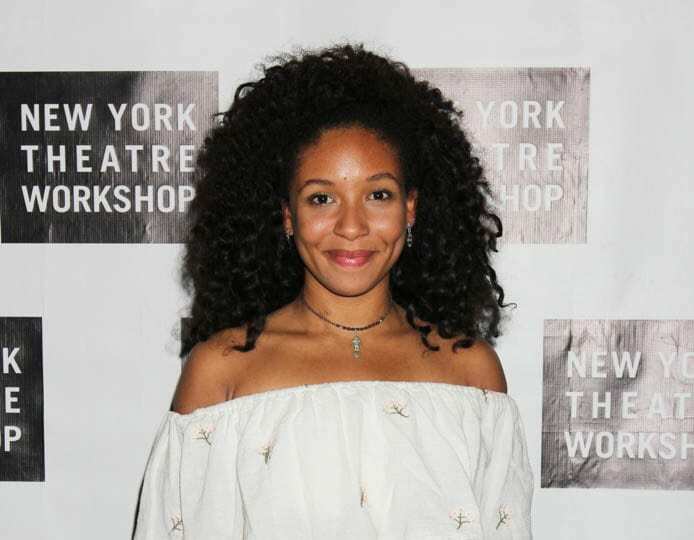 Before Black Panther, the 25-year-old Wright had already established herself as a serious actress with appearances on shows like Top Boy, Humans, and Black Mirror, along with a starring role in Steven Spielberg’s Ready Player One. Wright is also set to take part in the upcoming Avengers: Infinity War. 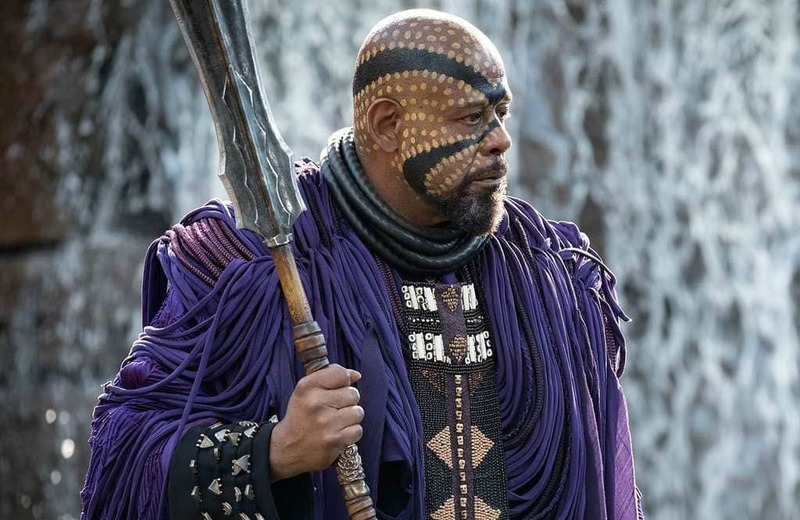 Forrest Whittaker’s character of Zuri serves as the mentor and guiding figure to T’Challa. Following the death of T’Challa’s father, Zuri takes our young hero under his wing and looks after him. Zuri plays a crucial role in the character development of the Black Panther, leading him along the way while at the same time keeping certain details about his family history from him. When Erik Killmonger comes into the picture, it only adds to the burden placed on the shoulders of Zuri. 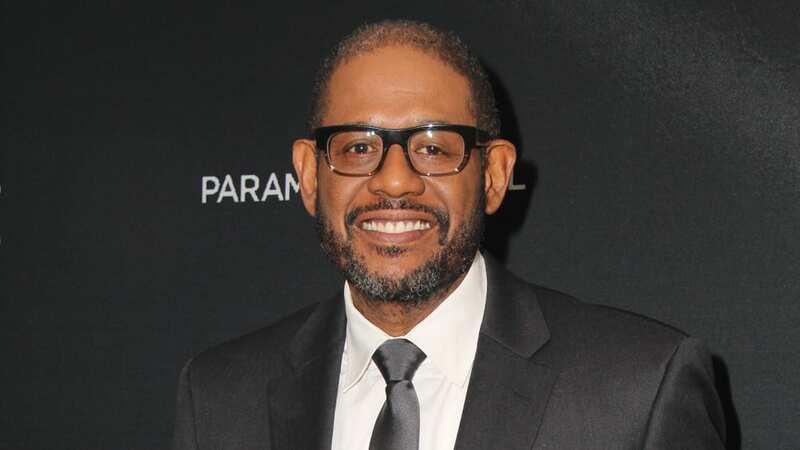 With an acting career spanning over three decades, the legendary Forest Whitaker continues to impress. 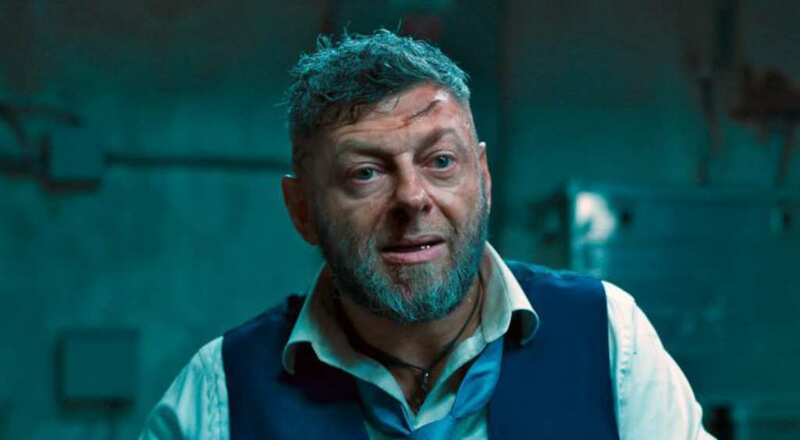 He puts on yet another stellar performance in Black Panther. As one of the biggest and most recognizable names on the credits, Whitaker has been a household name for years, with memorable roles in Panic Room and The Butler. In addition to recent appearances in Arrival and Rogue One, Whitaker took home an Academy Award for Best Actor in 2006 for his leading role in The Last King of Scotland. 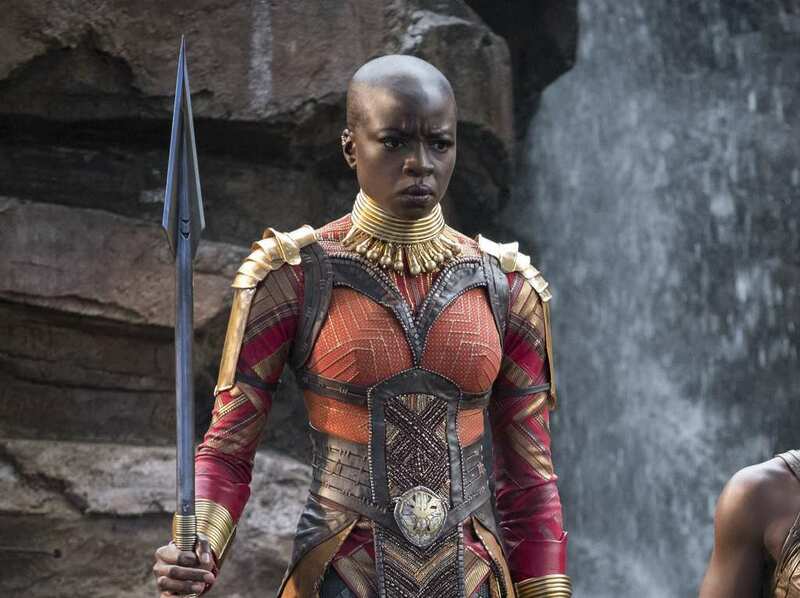 Danai Gurira plays Okoye, the head of the all-female Dora Milaje tribe. The Dora Milaje serve as bodyguards of T’Challa and take pride in their military superiority as well as their intel. While Gurira certainly drew on the fighting skills she learned from her role as Michonne on The Walking Dead, she admitted that Michonne and Okoye were two completely different characters. Ryan Coogler actually cast Gurira, not for her role on The Walking Dead, but instead for her performance in Mother of George. During filming, Danai Guirira had her head re-shaved every day and spent around three hours having her fake head tattoos reapplied. Now that’s what we call dedication to her craft! While Gurira has now become a well-established actress on television as well as on the big screen, she also makes time for other passions, including activism and philanthropical efforts. Gurira has recently founded Love Our Girls, and in 2011, co-founded Almasi Arts Inc., an organization that strives to bring the arts to Zimbabwe. As the ruthless leader of Wakanda’s Jabari mountain tribe, M’Baku gives T’Challa a run for his money when he threatens to take the throne. M’Baku serves the Jabari people as a leader both in warfare and in worship to the gorilla gods. 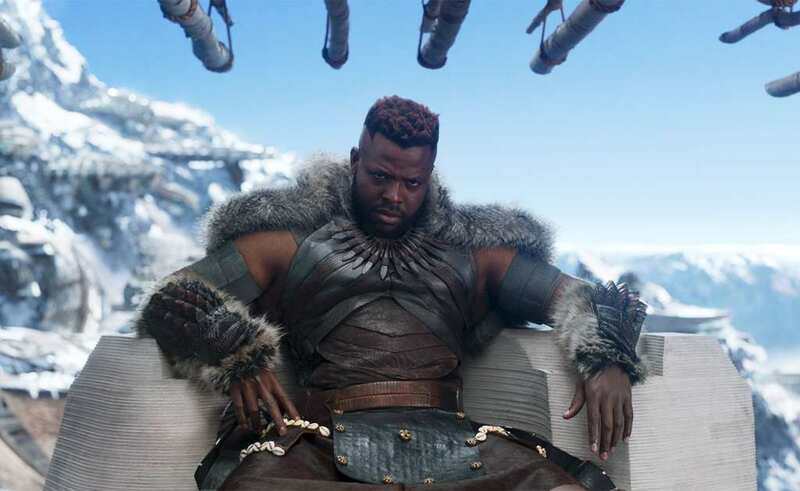 While the physically intimidating M’Baku ultimately loses to T’Challa in his battle for the crown, he reappears in the movie’s third act to redeem himself and forever influence the fate of his country in a way nobody saw coming. 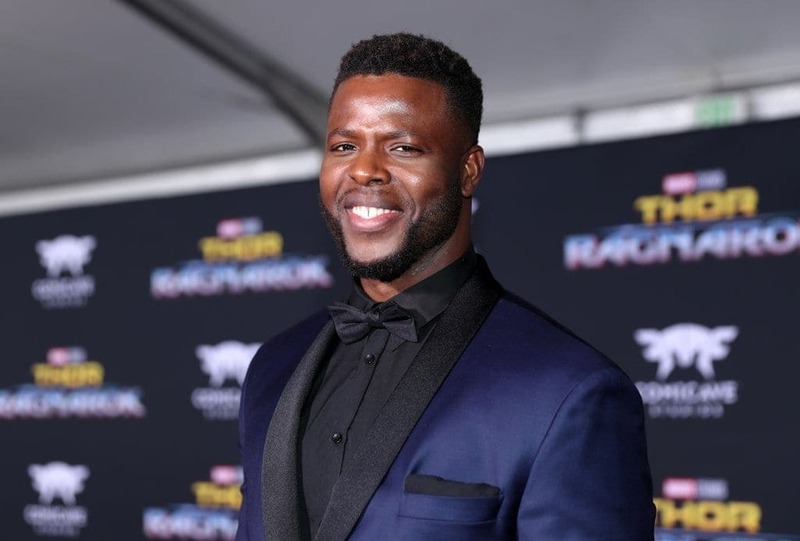 Winston Duke’s role as M’Baku could very well go on to be considered a breakthrough role. 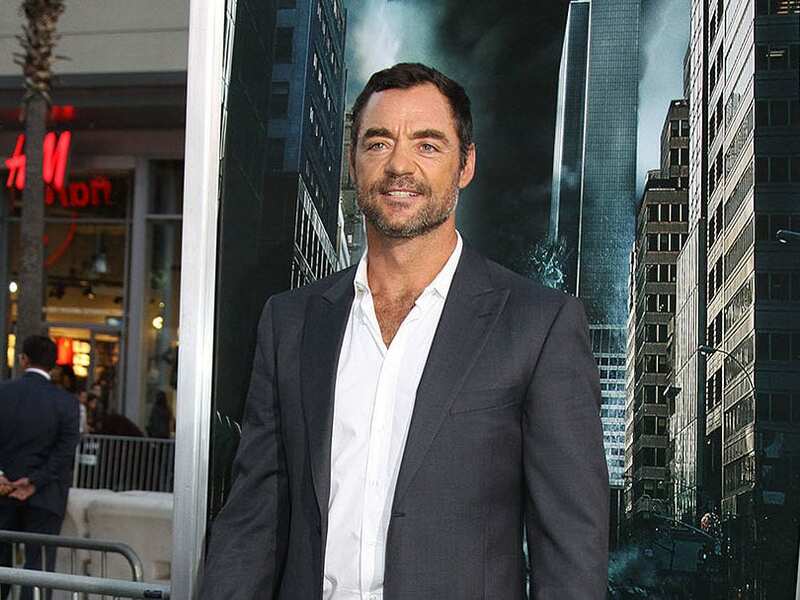 Prior to the film, Duke had appeared in the science fiction show Person of Interest, three episodes of The CW’s The Messengers, and three episodes of Modern Family. Despite being a relatively inexperienced actor, Duke put on a strong performance in Black Panther and definitely left Marvel wanting more. That’s why they have already announced that he will be included in the upcoming Avengers: Infinity War. 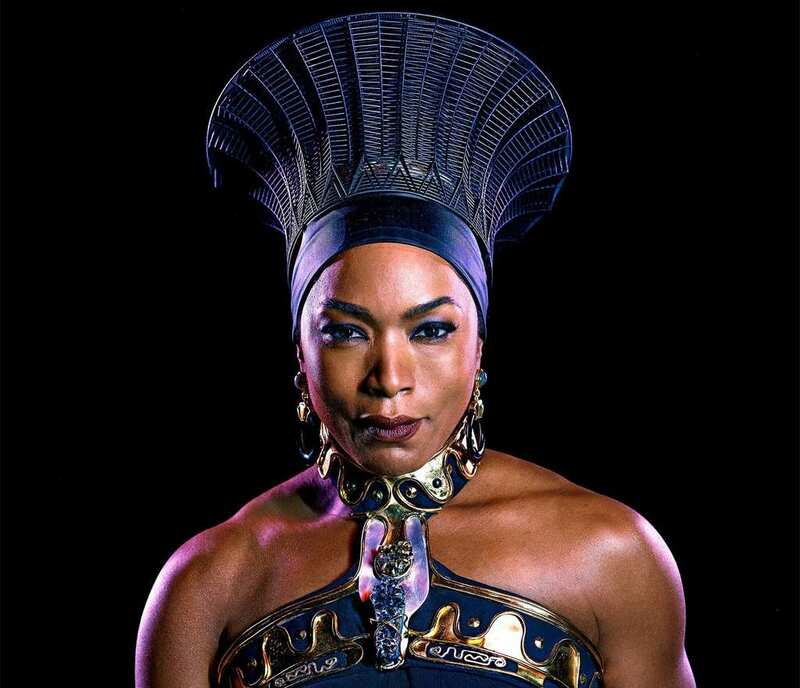 Following up a powerful performance in American Horror Story, Angela Basset was cast as Ramonda, the Wakandan queen. Ramonda does her best to ensure that T’Challa, her stepson, can adequately fill the shoes of his late father and her widower, T’Chaka. 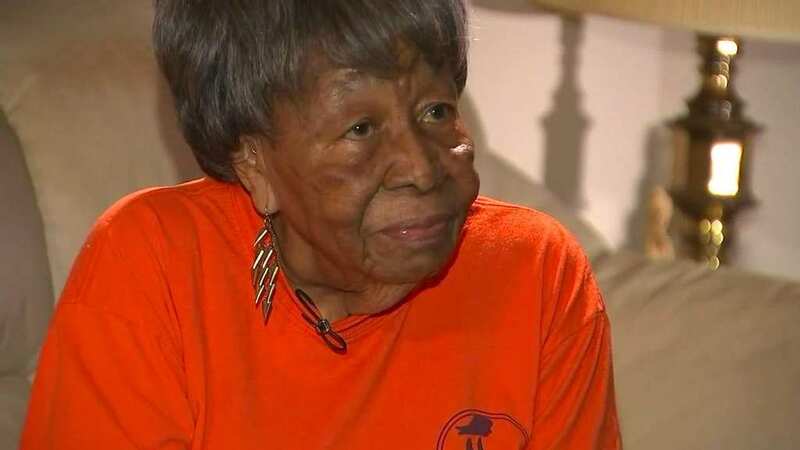 While she doesn’t always use the best judgment, at the end of the day she is always looking out for the best interest of Wakanda and the Wakandan people. Beneath her royal headdress are long white dreadlocks symbolic of her wisdom and life experience. Producer and president of Marvel Studios Kevin Feige has always held the highest of standards for his films, even when it comes to casting supporting roles. Angela Bassett is a perfect example of how Feige only casts actors and actresses who will exceed expectations and deliver meaningful performances. The decorated actress has been nominated for an Academy Award for portraying Tina Turner in What’s Love Got to Do with It. You’ve probably also seen her in Boyz n the Hood and Malcolm X.
Daniel Kaluuya has been on a roll lately. In just a few short years, the young British actor has transformed from a relatively unknown into a full-on star. Back in 2011, Kaluuya kick-started his acting career when he starred in an episode of Black Mirror. He was also recently nominated for an Academy Award for his role in 2017’s Get Out. In Black Panther, Kaluuya plays W’Kabi, the devoted advisor to Wakanda’s King. His devotion, however, does not necessarily apply to T’Challa. 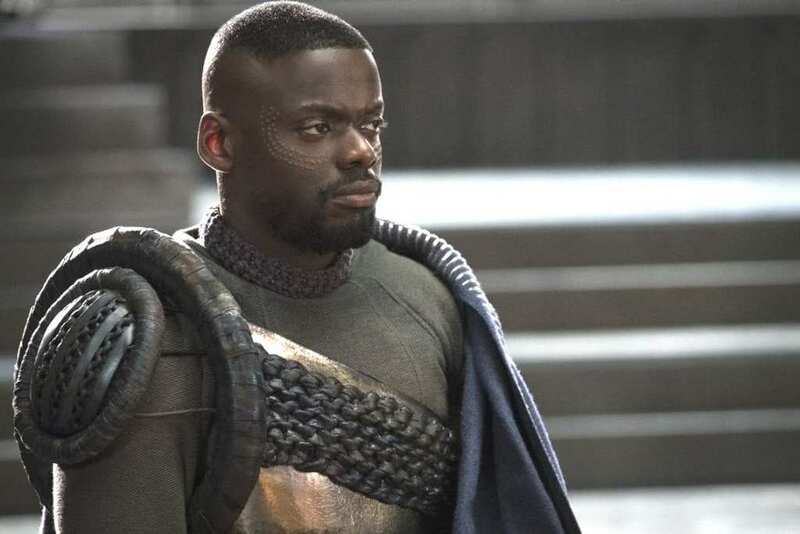 Aside from some impressive makeup work and his lavish Wakandan royal fashion, the real-life Daniel Kaluuya doesn’t appear all that different from his Black Panther character. Kaluuya, a London native, was able to disguise his British accent with a heavy Wakandan accent. 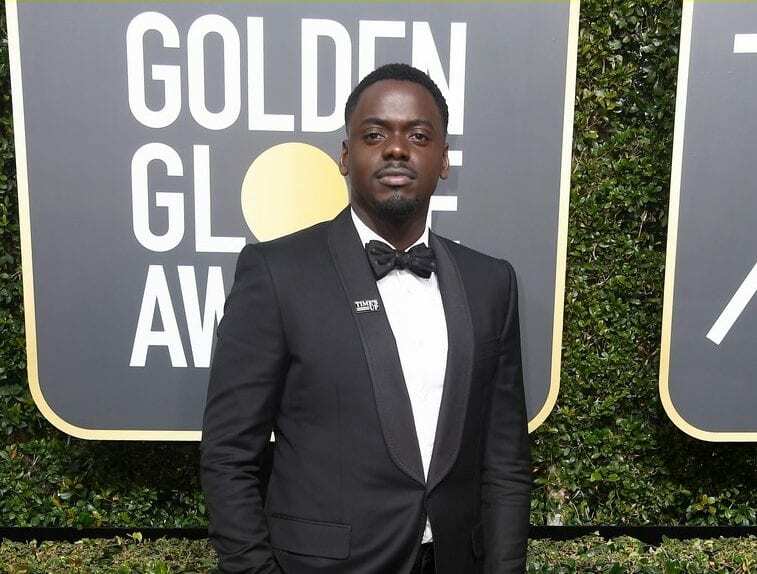 The future is looking bright for Daniel Kaluuya. With roles in Steve McQueen’s Widow, now in post-production, and rumors swirling around the internet that he may become the newest James Bond, an Academy Award may be on the horizon for Kaluuya. 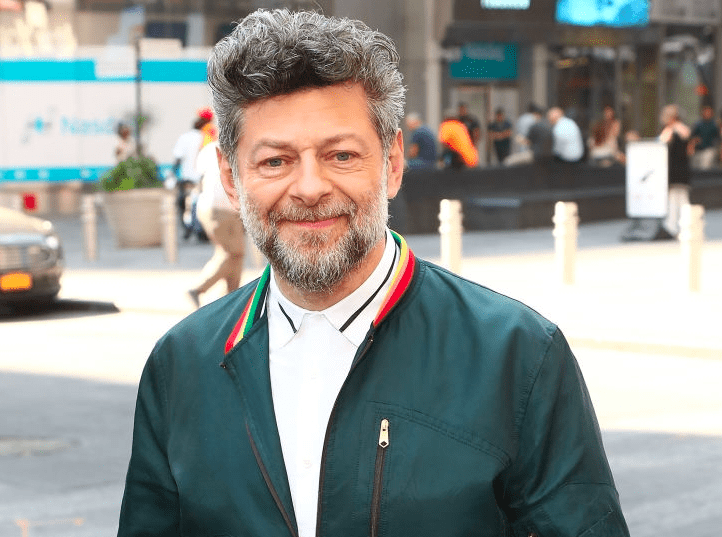 Chances are you’ve seen some of Andy Serkis’s best work without even realizing it. 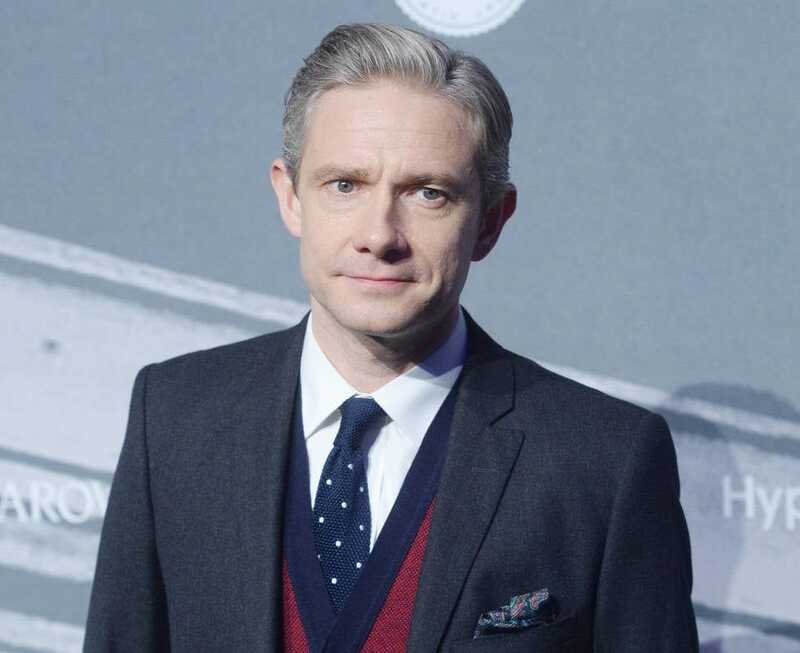 The British actor is a pro at flying under the radar and has made a name for himself as the “Godfather of Motion Capture.” He first mastered this unique art when he portrayed Gollum in The Lord of the Rings franchise. He also took on the role of Caesar in the latest Planet of the Apes trilogy, and Supreme Leader Snoke in the latest Star Wars sequel trilogy. 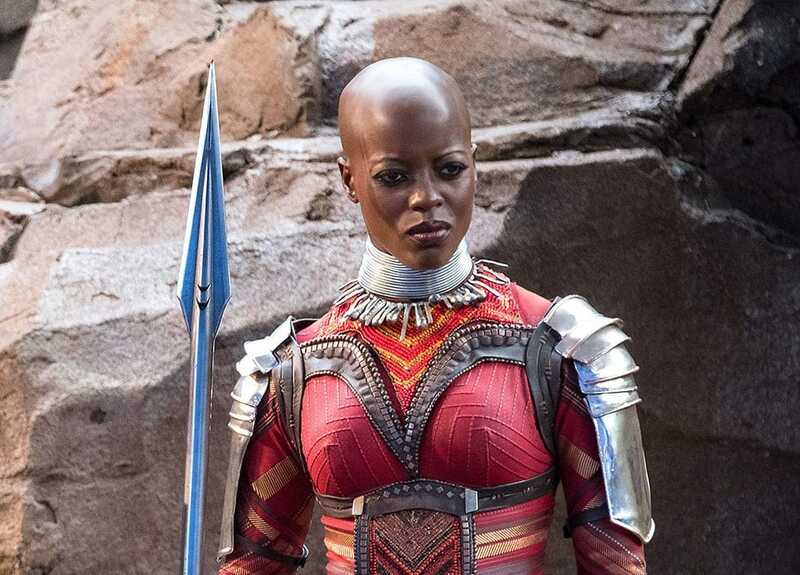 While she may not be as important to Black Panther‘s storyline as Danai Gurira, who plays Okoye, Florence Kasumba certainly holds her own as she portrays Ayo, a fellow Dora Milaje guard. The fierce women of the Dora Milaje are willing to do absolutely anything if it means keeping their kingdom safe. This isn’t the first time that the German actress has seen the Marvel Universe. In 2016, she was also featured in Captain America: Civil War. 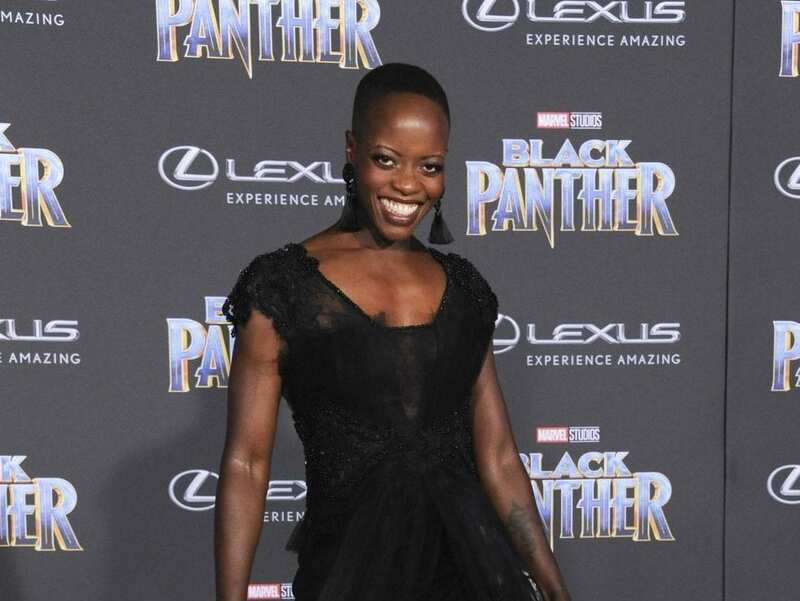 Similar to Danai Gurira, Florence Kasumba’s real-life appearance doesn’t vary too much from her character’s look. With a shaved head and spear in hand, you’d be doing a double take, thinking that Ayo showed up for the premiere! Kasumba has also acted in the DC comic-book film Wonder Woman and will be bringing back Ayo in the upcoming film Avengers: Infinity War. Kasumba is also set to perform Shenzi’s voice in the newest live-action version of The Lion King. Despite a lack of on-screen time in Black Panther, the influence and importance of T’Chaka is paramount in setting the scene for T’Challa’s journey as well as the rest of the Black Panther storyline. As the first king of Wakanda, T’Chaka takes a trip to Los Angeles in the early 1990s to visit N’Jobu, his brother who was sent by T’Chaka as a spy. When T’Chaka learns that N’Jobu has joined forces with Ulysses Klaue, a major conflict is set in motion. 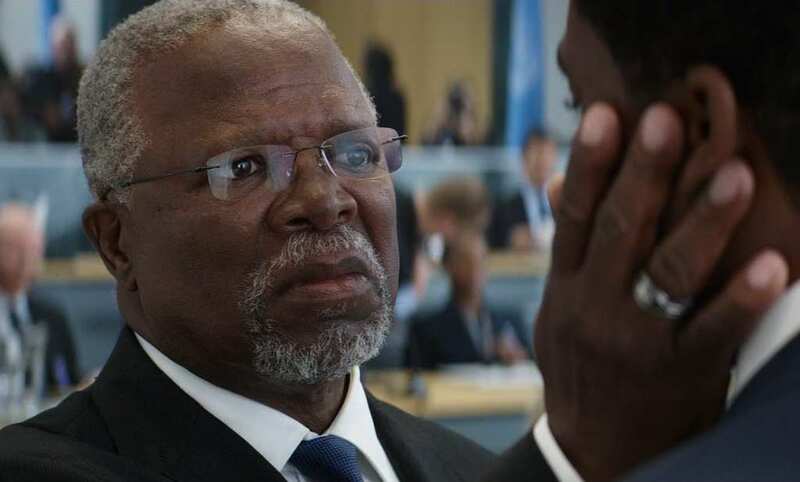 Even though John Kani’s transformation to his Black Panther character was minuscule in comparison to some of his co-stars, we still doubt you’ll be able to recognize him. 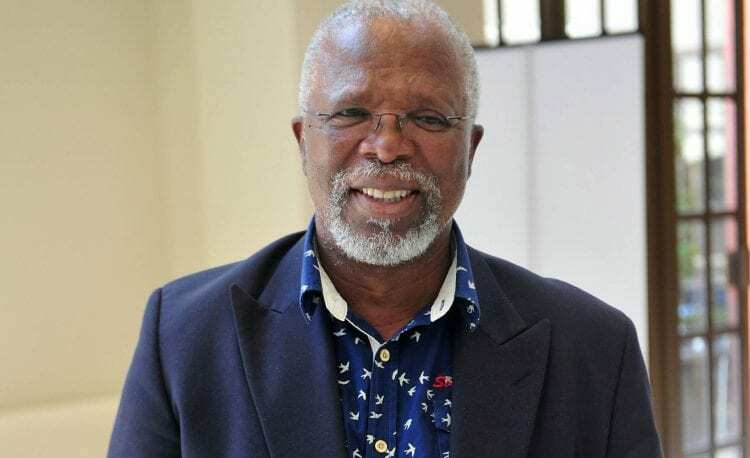 Kani is actually a famous actor, director, and playwright in his native South Africa. Kani’s real-life son is also seen in Black Panther during a flashback as T’Chaka in his youth. It turns out the apple doesn’t fall far from the tree! Kani is set to play Rafiki in the 2019 version of The Lion King. 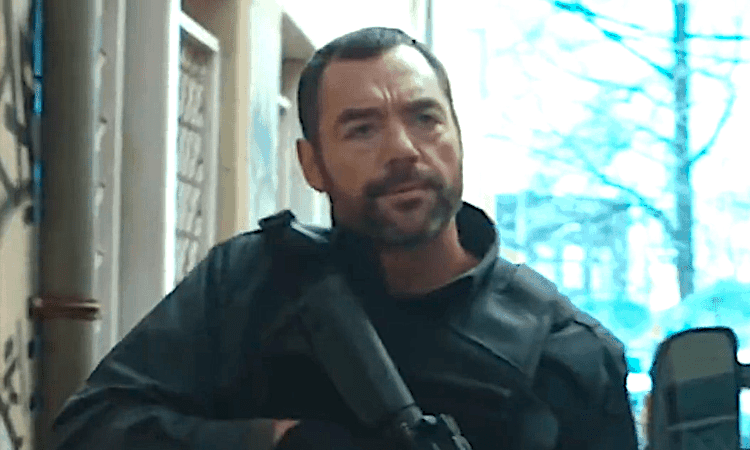 David S. Lee’s character of Limbani is part of Ulysses Klaue’s crew of villains. Limbani, who may have gotten himself mixed up with the wrong crowd, breaks into a base with another one of Klaue’s henchmen in Erik Killmonger, played by Michael B. Jordan, in order to retrieve Klaue from captivity. At the risk of giving away any spoilers to anyone who has yet to see Black Panther, we’ll sum it up by saying this was just about Lee’s only scene in the film. 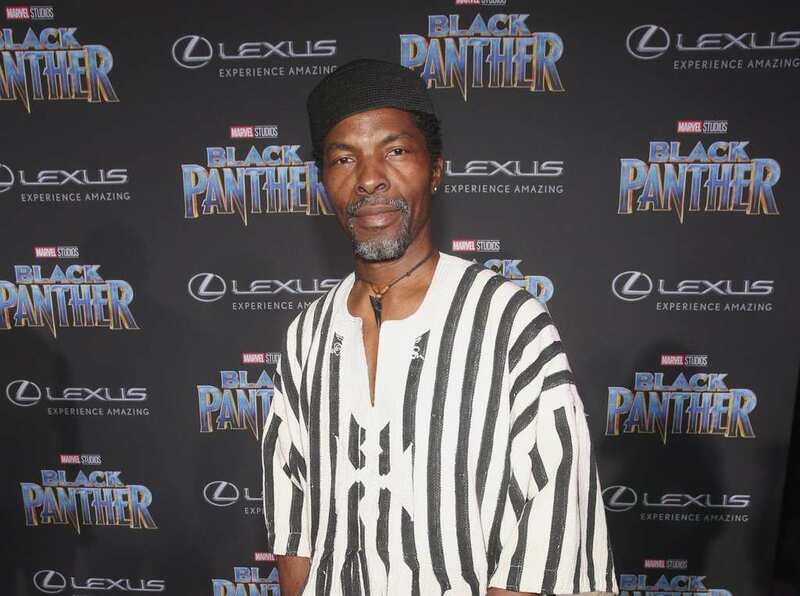 Prior to joining the cast of Black Panther, David S. Lee was featured in films like Get Smart and Blood Diamond. Another South African native, Lee has made quite the name for himself back at home, with starring roles in various television shows and plays. His career really launched after starring in a film called Paljas. The movie was so popular and admired among the South African population that it entered the running for the Academy Award for Best Foreign Film. 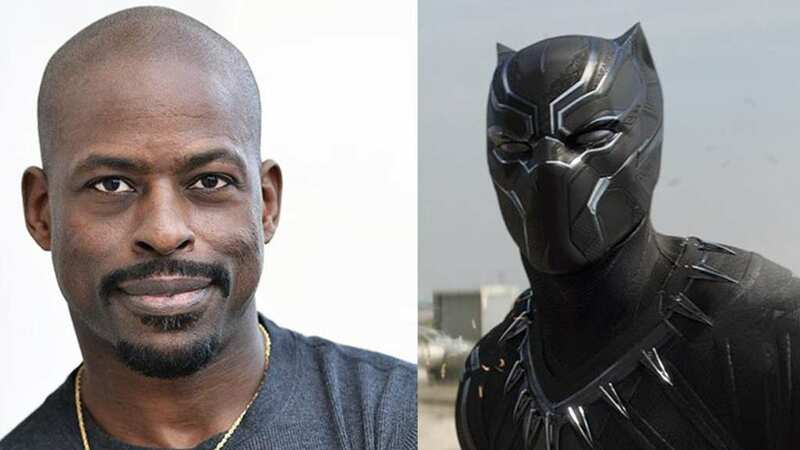 Despite Sterling K. Brown seeing little time on-screen, his character of N’Jobu plays a critical role in the Black Panther story development. N’Jobu, the brother of Wakanda’s original king T’Chaka, is sent on a spy mission to Los Angeles in 1992. Instead of looking out for Wakanda’s best interests, N’Jobu gets mixed up with the wrong people and it eventually emerges that he has joined forces with super-villain Ulysses Klaue. Erik Killmonger is also revealed to be the son of N’Jobu. 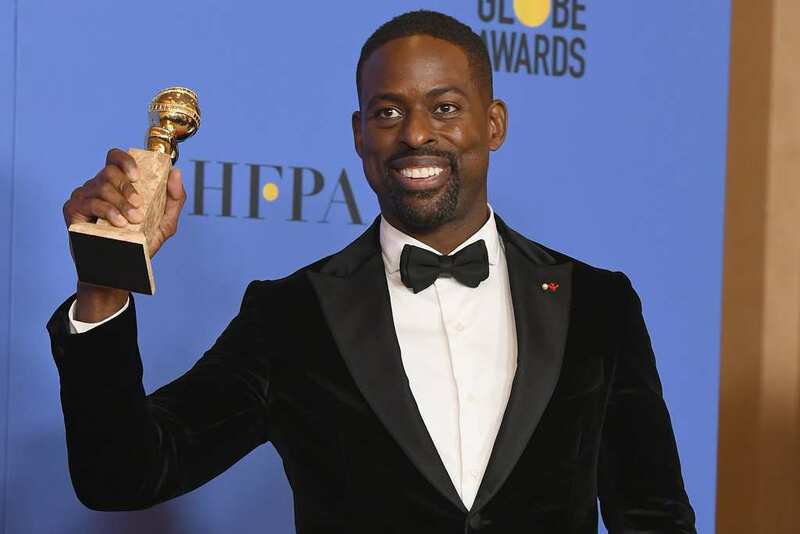 Sterling K. Brown may have had a bit of a late start as an actor, but it seems that he has been making up for lost time. While we first saw him with appearances on shows like Supernatural, Army Wives, and Person of Interest, it wasn’t until he landed the role of Randall Pearson in This Is Us, that his career really took off. Brown’s critically-acclaimed performance earned him a Golden Globe for Best Performance in a Drama Television Series. 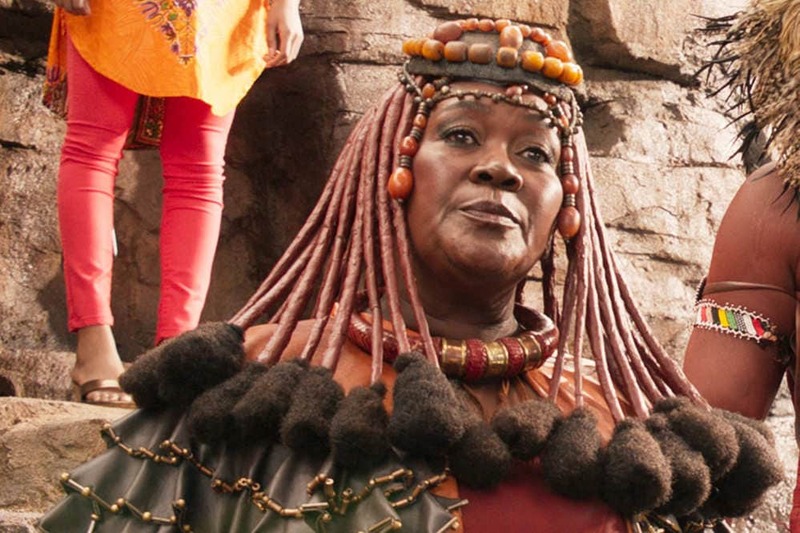 Similar to Isaac de Bankole and Connie Chiume, accomplished actress Dorothy Steel portrays one of the wise Wakanda elders. 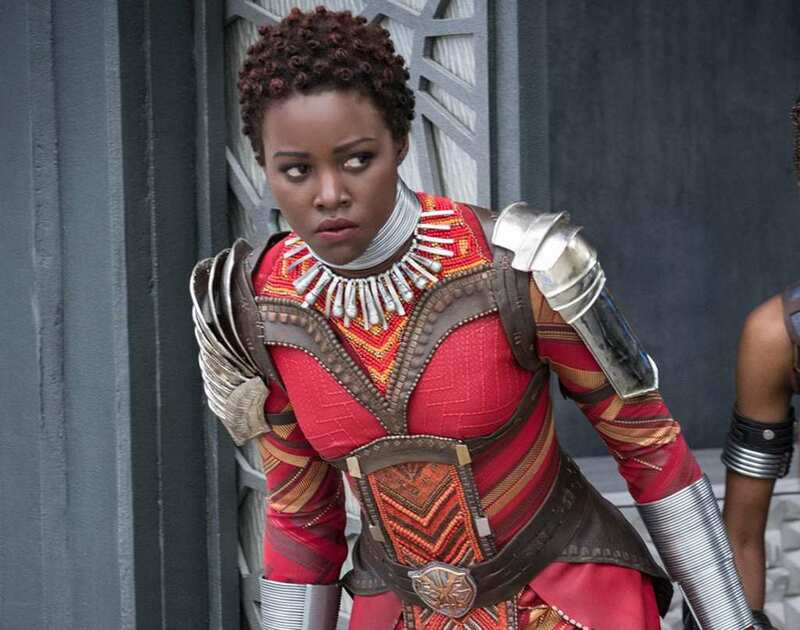 Her character is present during every royal gathering to assure that the Wakandan nation operates smoothly and according to the tradition and belief system of the tribe’s elders. Despite Steel’s minimal on-screen presence, it is clear that the Merchant Tribe Elder is an influential and powerful character. The elegant attire and jewelry worn by Steel in this role shows us what true class means. 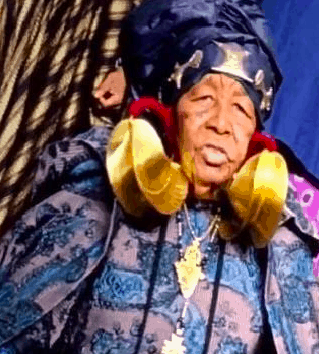 To be entirely truthful, Dorothy Steel did not boast the same lengthy resume as her co-stars leading up to her role as the Merchant Tribe Elder in Black Panther. Steel had really only appeared in a few small roles on television shows such as The Trouble with Going Somewhere, which ended rather abruptly, in addition to Saints and Sinners, which is currently in its second season. In 2016, Dorothy Steel also took part with a small role in the horror film Black Majick. In addition to Isaach de Bankole, several other actors and actresses portrayed tribe elders throughout Black Panther. One of the more authoritative elders was played by Connie Chiume. As the Mining Tribe Elder, Chiume’s character serves as a member within the larger organization of community elders who deal with significant royal affairs. 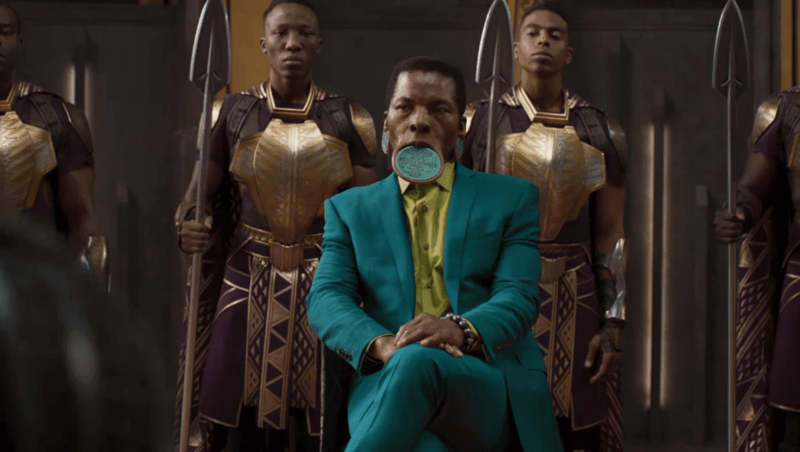 The Mining Tribe Elder appears in the film both when T’Challa comes home to claim his crown as well as when Killmonger shows up…. 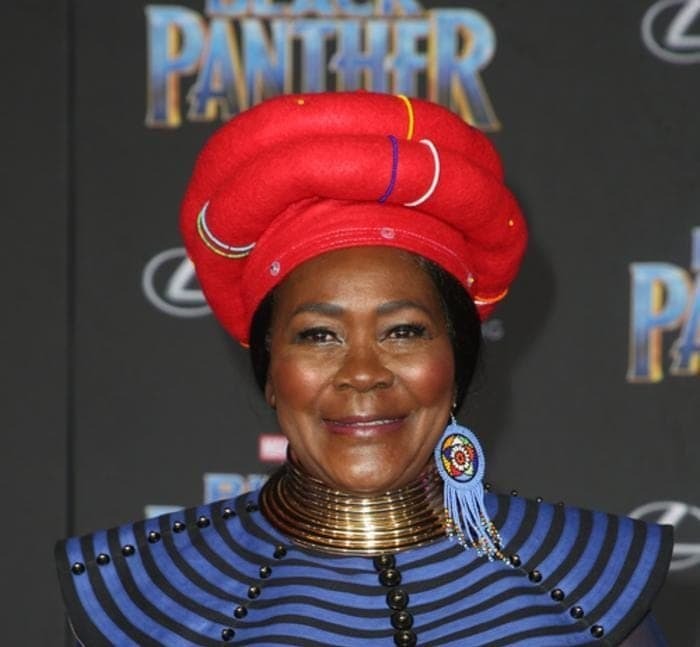 While her role in Black Panther isn’t exactly the starring female lead, Connie Chiume has been featured in several other distinguished films throughout her time as an actress. Her other projects include credits in I Dreamed of Africa, a biographical drama film released in 2000 in which Kim Basinger starred as Kuki Gallmann, as well as Country of my Skull, which came out back in 2004 and featured big names such as Samuel L. Jackson, Juliette Binoche, and Brendon Gleeson. 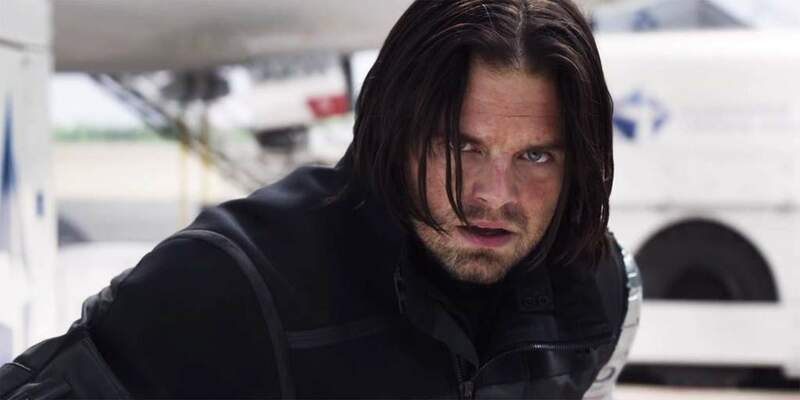 While he may not have been present for the main part of the movie, Bucky Barnes makes a brief appearance in a scene following Black Panther‘s credits, so we’ll just go ahead and count Barnes as a character in the film. It would appear as though Marvel is taking Sebastian Stan’s portrayal of The Winter Soldier in new direction with the upcoming release of Avengers: Infinity War. The post-credits scene hints that Barnes could potentially partner up with T’Challa to take on Thanos. Once compared to Mark Hamill in his younger days, Sebastian Stan has been targeted by many as a potential heir to the throne for the coveted role of Luke Skywalker if Lucasfilm were ever to release a film taking place between Return of the Jedi and Star Wars: The Force Awakens. 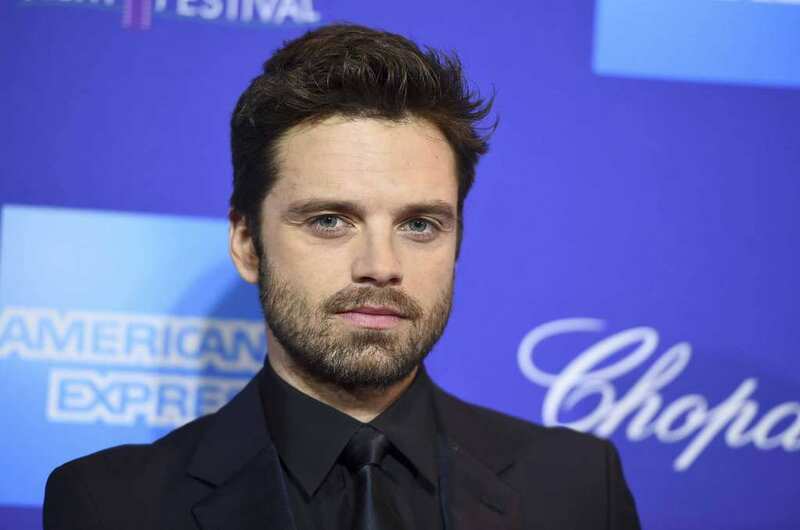 Most recently, Sebastian Stan portrayed Tonya Harding’s husband in the 2017 biographical film I, Tonya. Stan was also featured in Ridley Scott’s 2015 science fiction thriller The Martian alongside Matt Damon. Surprisingly, Black Panther is Nabiyah Be’s first role in a big motion picture. The film shows her character, Linda, in two separate contexts. Initially, Be appears as an insignificant museum worker in London. 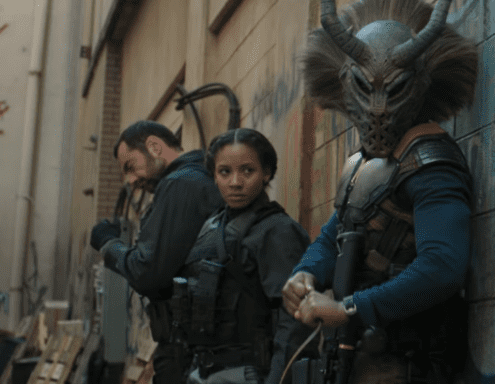 Then her second identity is revealed when she is seen dressed in SWAT team style attire while on a mission with super-villain Erik Killmonger and his team of evil-doers. In real life, we’d like to think she saves those kind of costumes strictly for the big screen. 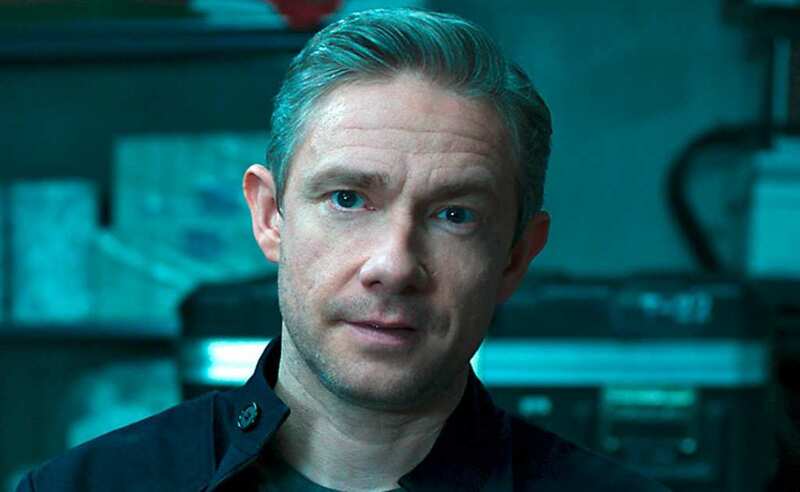 Another actor who brought back a previous role from a Marvel movie is Martin Freeman, who was featured as Everett K. Ross, a CIA agent, in Captain America: Civil War. Our protagonist Chadwick Boseman also appeared in this film. So it’s logical for Freeman to make an appearance in Black Panther as well. Freeman actually has some pretty interesting connections to his fellow Marvel actors. For example, Benedict Cumberbatch, who plays the lead in Dr. Strange, works together with Freeman on Sherlock. While Isaach de Bankole sported the turquoise lip plate with a sense of dignity and nobility that’s hard to find in a modern film, de Bankole is more than meets the eye. An Ivorian actor, it seems that he has fully integrated himself into American film. He’s been featured in the James Bond flick Casino Royale, in addition to episodes on shows like The Sopranos and 24. He even worked with his wife, Jazz singer Cassandra Wilson when he directed Traveling Miles: Cassandra Willson.